Hacienda El Santiscal on the outskirts of Arcos de la Frontera is gorgeous, rustic hotel and a wonderful piece of history. The XV century hacienda sits in peaceful countryside with fields and a lake making giving it lovely views and sunsets. A typical, and the earliest, hacienda with a lovely open inner courtyard surrounded by what are now the restaurant, lounge, bar, kitchen and reception. The upper floor consists of 12 unique bedrooms of varying sizes with olde-worlde charm, if a little tired in places. Antiques and history make a charming rustic retreat where peace reigns and service is relaxed. You will unwind here. An escape and delight to return to after a busy day’s sightseeing. Or it’s an ideal spot just to take a good book, relax by the pool take in the fresh air and vistas and do nothing. We did both followed by stunning sunsets a great way to end the day and then retire to the comfiest bed I’ve ever slept in. A great escape in a beautiful corner of Andalucia, perfect for exploring and for unwinding. For more information see the Hacienda El Santiscal website. Or book Hacienda El Santiscal immediately via Booking dot Com. 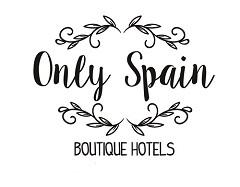 Have you visited a great hotel in or around Cadiz that you’d like to recommend? Do you want some help planning your trip to Spain? We offer a trip planning and/or hotel booking service with as much or little help as you want.